very solid tire made by Aplus, ounce again. a must have if you drive alot ! Not that bad, after couple years of use they became stiff but surprised to last almost 60k km. Shouldn't forget to remark what they are pretty cheap. For an work car its just perfect. 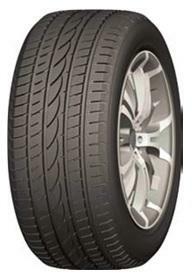 For low budget very good tires, perform well except tread wear 35k and almost no tread left. For that price is not bad at all. pretty round, A+ i guess.